Yesterday marked the 9th Seattle Angel Conference. I spent the day at Impact HUB, watching the pitches and mingling in the crowd. This is the second SAC I've volunteered at, and I noticed an increase in attendance from November's event. returns. He had a data set of 136 complete investments, and shared some findings from the HALO reports (released quarterly). Average deal size was $915,000, while the median was $505,000. 70% of outcomes in the Halo dataset are failures. For experienced angels, it's no surprise 10% of your companies provide all your returns. To summarize, as an angel investor, all your early indicators are going to be bad. You need to be in a lot of deals, with the hope of being in a big winner, if you ever want to see great returns. Evan Hiner from Prolera. Prolera makes it easy for professionals to manage, complete, and maximize the continuing professional education (CPE) they're required to complete to maintain their licenses. They started with accounting (under the name CPE Suite), but have re-branded to allow them to capture mindshare across more verticals. Richard von Hagel led due diligence. After much deliberation, Daniel Kao, SAC's fund manager, presented the winner. Hubb was awarded $155,000 in investment, and Crystal Clear Technologies was awarded $80,000 as the runner up. 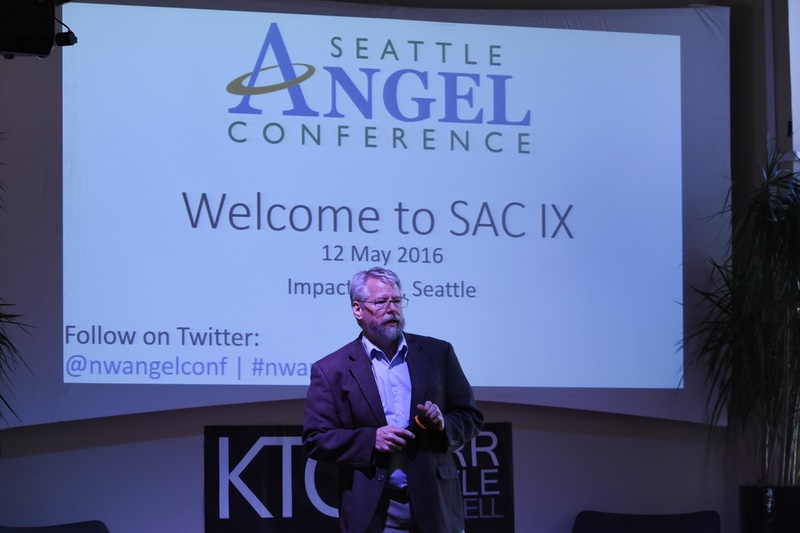 All in all, it was a great day for the Seattle angel and startup communities building relationships and get exposed to great startups. Drew Meyers is the co-founder of Horizon. Global nomad originating in Seattle. Ex-Zillow community builder. Social Entrepreneur. Microfinance advocate. Travel addict. Find him on Twitter @drewmeyers.